There’s no faster way to share and manage snippets of code than Gist. 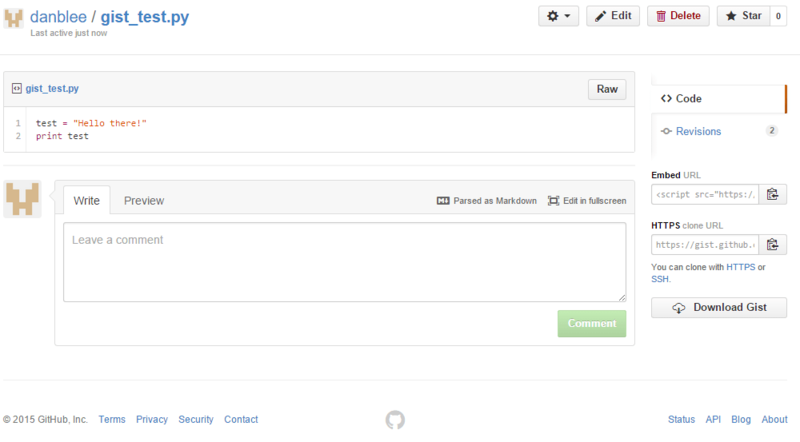 gist.github.com has all the functionality of the github.com. It gives you a quick URL for your work and allows others to fork just as easily as a github project. Gist is a simple way to share snippets and pastes with others. All gists are Git repositories, so they are automatically versioned, forkable and usable from Git. Certain blogs or online communities, such as the Python IRC channel, use it exclusively to share and discuss code.